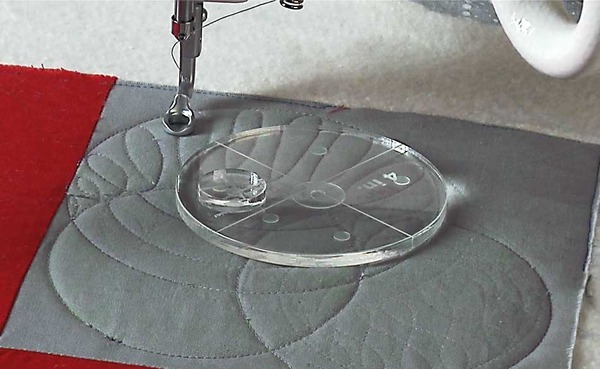 Add this sturdy ruler base when machine quilting on your frame to use quilting rulers, straight-edges and templates. This attaches to your Qnique 14+ or 15 using a set of high quality magnets, and can be easily placed and removed. The ruler base adds a stable surface around the needle, under the quilt, so you can use templates and rulers in ways that would not be possible on fabric alone. More and more machine quilters are discovering the ease and fun of using quilting rulers or templates with their quilting machine. Different templates can be used and combined to created intricate stitching designs and pattern. 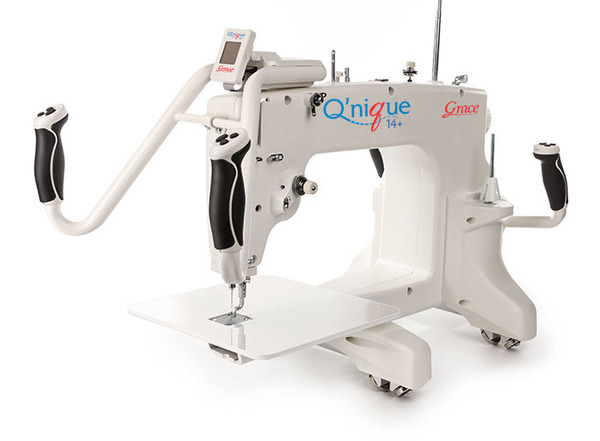 The Q’nique ruler base adds a level, sturdy extension to your quilting machine, allowing the use of templates and rulers in ways that would not be possible on fabric alone. More and more machine quilters are discovering the ease and fun of using quilting rulers or templates with their quilting machine. Different templates can be used and combined to created intricate stitching designs and patterns. The ruler base accessory is required to use these quilting rulers and templates. The ruler base easily attaches to the bed of the quilting machine underneath the fabric, and provides a stable surface for quilting rulers while stitching.